Caches are already in GSAK (PQs downloaded via API). Click macro, click Garminexport macro, click OK wait a moment for OK pop-up, unplug > go caching. So I hit one key and do 3 clicks. How much "Learning GSAK" is required before that one key and 3 clicks? I've tried to figure out GSAK off and on for years, and I can't figure it out. And I can generally figure out computer stuff. So when I see posts about the 80-year-old people set in their ways, I can't imagine them switching to GSAK as a simplification plan. But if they do, I must also, because I can't be shown up by a bunch of 80-year-old whippersnappers. Since the question was bout "how many clicks" and not about "how many clicks for an 80 year old" I think it's relevant enough for other having the same problem. Everything has a learning curve, some steeper than others but it does work. Thats brilliant, i've just spent 6 hours trying to load caches onto my garmin, Thats me done with this site now. Load of rubbish!!!! So with a browser procedure, you're saving the GPX file somewhere, then using other software to load the cache into the old GPS? No, I'm downloading directly from Geocaching.com to the Garmin. 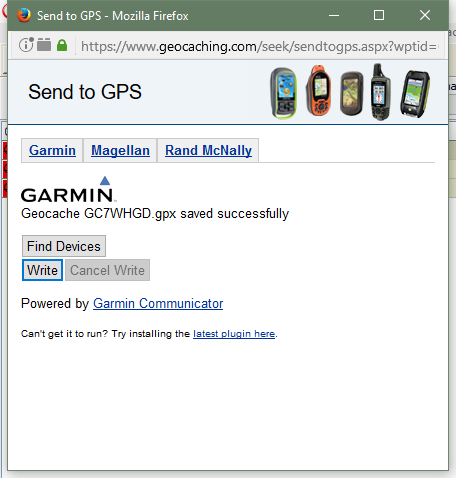 Download on Geocaching.com, save it directly to the plugged in Garmin, which the computer sees as a drive. It takes two clicks, but the file is NOT saved on my computer. No "other software" involved, just the browser. This should work for any gps that has a usb port, and takes a gpx file - all Garmin brand, as far as I know. Except the old ones. My GPS12XL (bought in 1999) doesn't as far as I know (it's gathering dust in a box somewhere). Many of us have been saving GPX files without plugins for years. "Send To GPS" was too much of a hassle to maintain, it was simpler to not use it. The main issue in this thread is The Button was one click for pretty much any old GPS. Such as an old GPS. The computer is old, the GPS is old, the Geocachers are old. It's more than just learning how to save a file, they will need helper software and follow a set of steps to load it. I'm guessing the new software can run on the old PC in this case. But it's a whole new ballgame regardless. In the case of an old GPS it's "just two clicks to save the file", followed by "a whole bunch more clicks". I have tried this and the suggestions on this forum, but NONE are working for me! I never had any problems downloading caches before and cannot see why it had to be changed. It is a shame that the "Download to GPS" option could not be left alongside "Download to GPX" as it obviously doesn't work for everyone. For a newer Garmin GPS, place the GPX file into the Garmin/GPX folder of the GPS. If you tried GSAK or other helper software (suggestions on this forum) and are serious that nothing works, more specifics on your device are needed. It's unusual when "Send To GPS" worked that nothing else will. I just think it would have been really nice to give us a little warning....like tell us in a month the "load to GPS" feature will be going away. My husband (who has a master's degree) and I (bachelor's degree) have been trying to load caches for about three hours so we could out tomorrow. Haven't figured it out yet. And it really makes me really, really angry. And where did the bookmark lists go??? Several of our puzzle caches rely on info in the bookmark lists! Now I'm even angrier! Those of us familiar with the issue won't deny that the feature had to go at some point. It's just my opinion that it didn't need to be an unannounced, cold-turkey, "live with it" situation. Would it really have been such a bad thing to give everyone a heads-up? I don't mean a passive heads-up like discussions in the forum where someone has to seek out the information, but rather an active heads-up where members are directly notified by email and/or a warning on the feature. I don't see them on the cache pages. I only see them if I go to my "lists." I have read all the posts in this forum. I have a Garmin 60CSx. Can somebody please explain to me in real simple terms how to get the caches to my Garmin. I figured out how to save the cache to the "download" folder in my computer. But don't know what to do from there. When the gps is plugged into the computer, it shows up as an accessory like a printer. HELP? Please. Can somebody tell me in simple terms? Thanks in advance. Well I was hopeful that a suggestion by niraD to use the Lists feature might be the answer but sadly no. From a List you can "Send to Garmin" or "Save .LOC" file. There is no option to save to .gpx. When I tried using the circle with 3 dots context menu next to a List entry in the List Management page one of the options is "Send To Garmin". 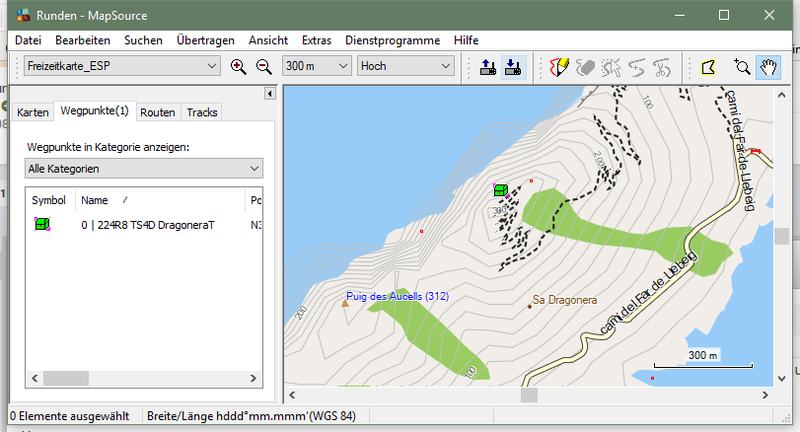 This requires installation of the Garmin Express app for Windows but when I installed that, Garmin Express said it did not support the older Mapsource 60 series GPSs, I had to install Web Updater. 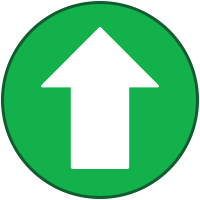 Web updater does not manage waypoints or any aspect of the GPS other than firmware updates. I also tried the "Download to .LOC" in the individual lists details page in hopes I could use EasyGPS to send them to the GPS but clicking on the button does not produce a file. It tries to do something but seems to fail. I think the feature is not working now. We are heading out camping for a week with no internet access so Will try to catch up and see if there are any answers then. I see them on your listings. I always transfer lists by creating a Pocket Query from the list, running the Pocket Query, downloading the Pocket Query to my laptop, and then transferring the GPX file from the Pocket Query to my device. This may be the perfect answer for someone supporting a senior with dementia. Set it up once, then drag/drop, done. While you're learning something new, you can enter caches manually into your 60csx. Just need a notepad for anything else that might be useful (hints, trackables, a certain log...). Takes around two minutes each. I've loaded caches manually (blue legend, then a 60cxs) since starting. I don't understand what a "degree" has to do with anything in this hobby. Please explain. You've been in the forums long enough to know that if there was a "month's notice", the forums would be just as busy with people either begging the site to keep it going, or threatening geocide. Same as now. I like this idea a lot! Can you start a new thread to flesh out all the details, pros and cons, especially the "gotchas" that affect models with limited file space? I have to go look up how to even "make a batch file". Haven't done that in a while. Most people never have. Cool find! I'll start a new thread about that. Then all the details may be posted there. I'm sure there are questions, and I'm sure the function won't last forever. 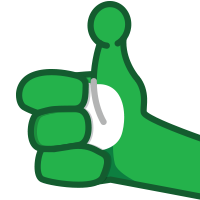 For the same security reasons as we removed the more prominent Send to GPS links, those links are already slated to be removed next week. Not trying to be a party-pooper here, just trying to let people know before getting excited about those pages. It's just for cachers surprised by the change who wanted to go caching this afternoon. They now have at least a little time to look at alternatives. Is that whole old Seek page going away at that time? That one works much better on my phone than the new search (the one... *ahem*... designed for a phone). You have a temporary reprieve. For a few days after I type this post, this may work, at one of the last places where the old Send To GPS button still exists. Now you have a little time to try some alternatives. How did you get that page to come up? Which page are you talking about? Please be more specific. Garmin Express does not work on older gps' (for example, the gps 60CSx). Do you have other suggestions for how to get the caches into the gsp? For a few days after I type this post, this may work, at one of the last places where the old Send To GPS button still exists. Going forward, there are several ways to load an "old" GPS, and in many cases, you just have to try things and see what you like and what works. 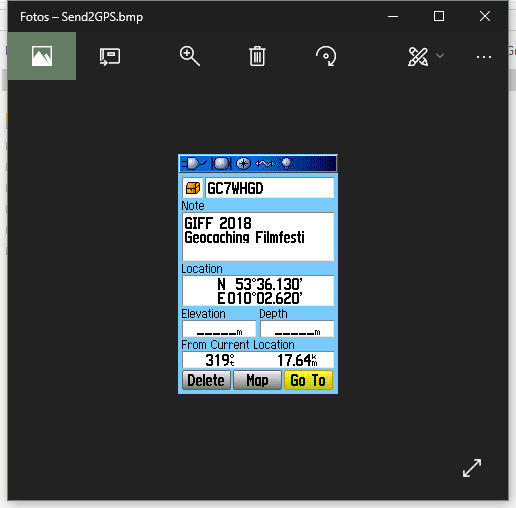 I suspect it'll be possible to simply try to "open" the file, and it'd go straight to the batch file (--> GPSBabel --> Old Garmin) described in the other thread. So do a special file association for "GPX", for example! Now I'm aching to try it. I'll have a lotta time soon, I hope. Ok, another old'un here. I've been using the old 'send to garmin' button and I'm sad to see it go. But we've got to move on I suppose so I've been trying out the gpx function to the best of my (limited) capabilities. It's all a bit of a haze to me at the moment but I'll get there eventually. Anyway can you clarify a couple of points, or put me right if I'm doing it wrong? I get to a cache I want to d/l and left click on the gpx button. This then goes to my desktop as all my d/l's do. I can then right click on that file and choose 'send to' and choose my gps (garmin oregon 700) and there it is. Or when it is on my desktop I can drag it to my gps and there it is, among all my previously d/l caches. Now I was going to ask if that is correct but it can't be because when I unplug the gps the cache is nowhere to be seen! I'm using opera as my browser if that's important. So, in easy to understand language, what have I missed or done wrong? As an aside, when the cache has d/l it is always the gc number and not the title. Is that the norm? Be sure to place the GPX files into the folder "Garmin/GPX". If the cache is more than 60 miles from where the GPS thinks it is (for example, if it hasn't pinpointed its own location yet), the cache will not automatically be listed. It is possible to set a GPS to show caches as GC Codes rather than names. Garmin Oregons are very configurable and use collections of settings called "Profiles". Start with the Geocaching Profile, then modify it as you like. You can copy and re-name Profiles. I have a Geocaching Profile, and a CachingCar Profile each based on the same thing but with settings specifically for each purpose. Back up everything first (save as much of the GPS folder structure with the files as you can to a PC hard drive somewhere) in case you want unmessed files back if something gets messed up. A Garmin Oregon 700 can acquire paperless cache info over wifi, without any PC needed. The downloaded gpx will be named with the cache code, once it's on the GPS it will be named according to your GPS settings either, code or title. It was the Garmin/GPX file I was d/l it to but your 60 mile suggestion was correct. I really should have remembered that! I have though just found out that I could put the Garmin/GPX file on my desktop too. We live and learn even at my age. The GPS was set to names but of course because of the distance I couldn't see that, only the number before I sent it to the GPS. Ok, another old'un here. I've been using the old 'send to garmin' button and I'm sad to see it go. "Send to Garmin" isn't that old... Did you mean "send to gps" ? It should still be working if you have a GPSr new enough. It's still listed so in the Help Center. Yeah, we are old, our gps is old and our computer is old. And it works just find for geocaching until today. We did figure out how to get the caches to the computer (via a method that will not last long) but cannot figure out how to get the caches from the computer to the gps. We've been working on this for eight hours now. Where do I find that Send to GPS Button?? It's in the linked thread, where the button is found at the tip of the big red arrow on that other thread. Click the title Below to go to that thread. It shows how to find the list where the Send To GPS buttons are. They are to the right of each cache, and look like a little GPS icon. Up to a week ago I was happily downloading caches to my garmin etrex but since the send to GPS button has gone and left only with a GPX button I am no longer able to do this. I have read many of the posts here and they make it sound easy. Just attach your device as normal and click the GPX button. Well it does open up a map but it doesn't download to my Garmin. I know a lot of my friends who are having the same problem and I basically stopping us geocaching. So we either need a clear set of instructions on how t fix this or why not just reinstate the GPS button alongside the GPX button then at least everyone has a choice of what works for them. It is possible to set up your computer so that GPX files are intercepted by other software. It could be complicated, but that all depends on what you installed on your computer. You could in fact set up what's called a "File Association" to your benefit instead, where you have a pretty easy way to load the device without The Button. That's what the various threads here are working to explain. 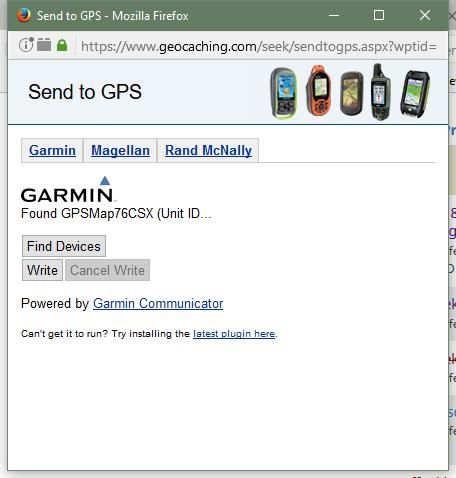 The new way to load GPX files directly from the site is a feature called "Send To Garmin". That only works for modern Garmins that accept "GPX" files. I don't need to detail why the button is not on the page, because the OP said why. Remember that even the Garmin company does not support old Garmins. As you know The [Put Any Company Here] does not support the Old Anything. Yet they retain their trade secrets that would be useful right about now. You may continue to use it just fine, but then you must adapt. Fortunately, there's helper software that can load even the most obscure GPS. Or you may choose to type the coordinates and go.